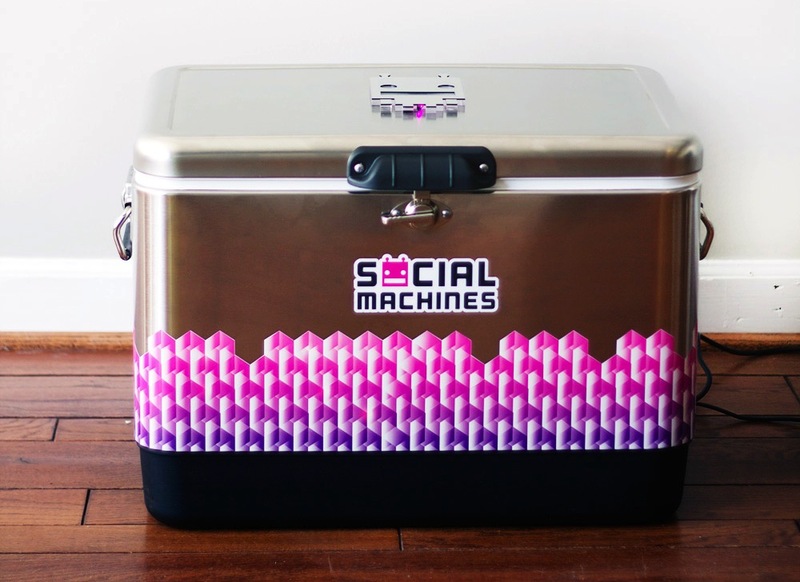 You may have seen or read about iStrategy Labs’ GE Social Fridge creation at SXSW, the public launch of the company’s “Social Machines” product. iStrategy Labs is continuing its rather exciting work of hacking physical objects with social data, and seeing as summer is around the corner, the next iteration has manifested as none other than a “Social Cooler”. It’s pretty straight forward: check-in to the Social Cooler on Foursquare, and watch it magically pop open. Hat tip to @zcsaale for his creative craftsmanship in bringing this to life!